Welcome to narushika, a fan community for the pairing Naruto/Shikamaru, or Shikamaru/Naruto, if the order matters to you. Whether you love the fact that they're BFFs, or think that there's more to their relationship, feel free to join this place! 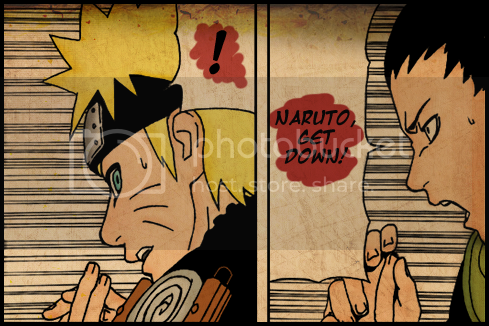 All discussions should be related to Naruto & Shikamaru. Duh. No character bashing is allowed either - flamers, please take your comments somewhere else. Be polite to each other during discussions! We're all here because we like the same pairing, so there's no need for any disrespect. Any unruly members may be banned. Please LJ-cut all fanfic, long discussions, spoilers, pictures bigger than 400px, and NSFW stuff. Fanfiction should also be labelled with appropriate ratings. If possible, tag your posts appropriately. Thank you! Looking to affiliate? Drop me a note here. layout codes by enamour @ paintedlayouts. profile codes by presents at refuted. header & profile image made by chanelcoco for narushika. Uzumaki Naruto and Nara Shikamaru are characters created by Masahi Kishimoto for his insanely popular shounen manga series, Naruto.